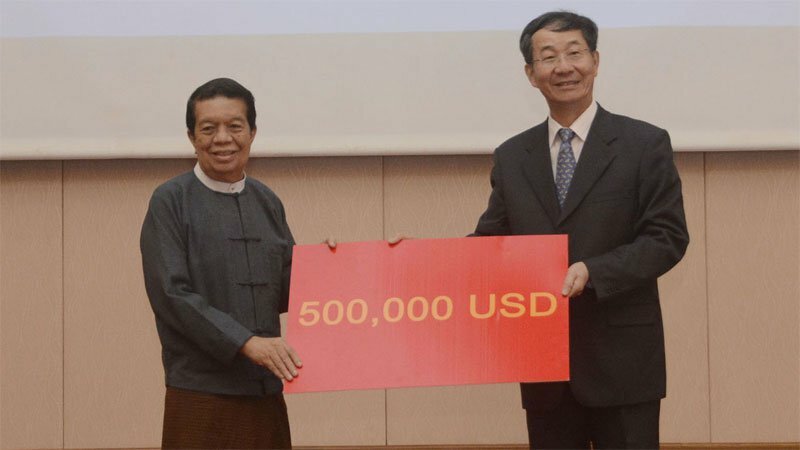 The People’s Republic of China donated USD 500,000 to National Reconciliation and Peace Center yesterday afternoon in Nay Pyi Taw, state media reported on 18 December. Mr. Sun presented the cash donation to Vice-Chair of the Center and Chair of the Peace Commission Dr Tin Myo Win who in return handed over a certificate of honour. Dr Tin Myo Win said, “Peace is what the entire Myanmar wants,” the report said.